Ideally, there should be legislation in place that prevents the minister from interfering in the work of the police. After all, the minister is a political appointee without any policing experience, writes Mandy Wiener. It would be naïve to think that in any country the police service is insulated from the politics of the day. The police exist to maintain law and order in a democracy and the power they wield is enormous. Of course, it follows that whoever is in control of the machinery of law enforcement, is largely in control of the stability of the country. However, over the past decade in South Africa, the politicisation of the SAPS has reached such a level that many would argue that the police are more distracted by politics and power struggles than actually fighting crime. Just look at the ongoing battle between the Police Minister Bheki Cele and the former head of IPID Robert McBride. Both men are wily old intelligence operatives who are skilled in the art of espionage and dirty tricks. The fight between the two has played out in Parliament, in the media and within the structures of policing. Soiled laundry has been hauled out and there have been allegations of all kinds levelled against one another from corrupt 'grabber' deals to secret spying. It's all about who clings to power so that their own can be protected. There are camps and factions and generals are worried about who is aligned to whom. 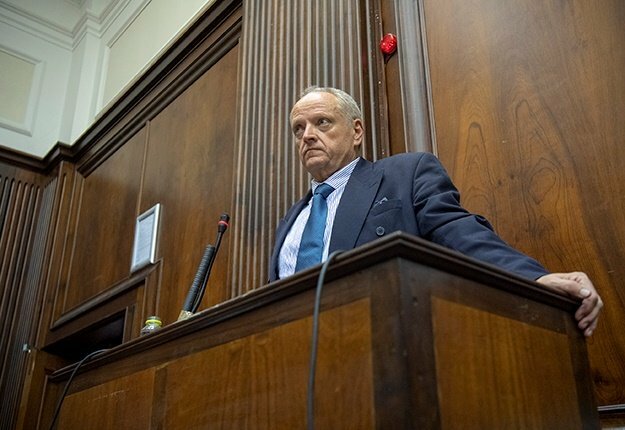 This reached a crippling low when both Crime Intelligence and the Hawks were captured by men aligned to former president Jacob Zuma and his allies. It got so bad at one point that Richard Mdluli even wrote to Zuma, vowing to support him politically. The devastating effects of this capture are still with us as the remnants of those projects are still fighting over the scraps of influence. 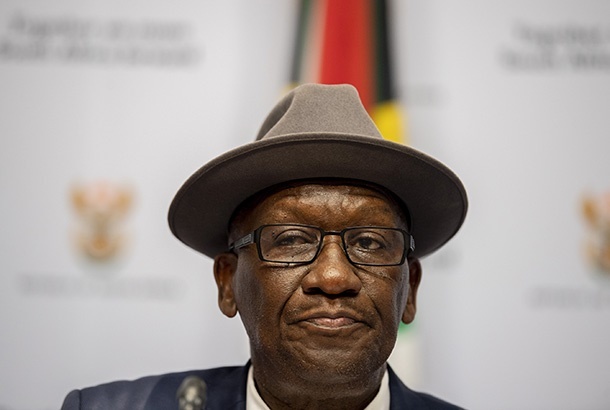 Just last week, it emerged that Cele is locked in a standoff with his own police commissioner, Khehla Sitole. This after Sitole suspended his deputy national commissioner for human resource management, Bonang Mgwenya, over an allegation that she used her authority to help her son obtain a driver's licence. Cele was reportedly furious because Mgwenya was his 'blue eyed girl', his person and point of contact in police management. She had previously been his chief of staff. There is so much wrong with this situation. The minister, in theory, should have no operational involvement and no need to contact the HR head at all. He should liaise with the national commissioner on operational issues. But increasingly, the minister appears to be playing the role of the national commissioner rather than that of a political head. This isn't entirely surprising considering that Cele himself was national commissioner not too long ago. It's human nature that he would slip back into the role. It may be that he considers Sitole too weak to provide sufficient leadership to the men and women in blue. Or it may be that Sitole, whose experience is largely administrative, is actually incapable of making nuts and bolts decisions and Cele feels compelled to step in. It is also conveniently forgotten that Cele was actually fired as national commissioner following the findings of the Public Protector on the SAPS headquarters lease deal. It is simply astonishing that despite this he was brought in to have political oversight over the actual position he was removed from. How short our memories are! Analysts and politicians have suggested that Cele is meddling where he shouldn't. There are stories about how he weighed in on the appointment of provincial police commissioners and he's appointing specialised task teams. Ultimately, Sitole is the accounting officer for the SAPS and he should be responsible for the operational work of the police. Ideally, there should be legislation in place that prevents the minister from interfering in the work of the police. After all, the minister is a political appointee without any policing experience. Cele must stick to policy and politics. This will allow the police to concentrate on policing, instead of being consumed by infighting and keeping politicians happy and aligning themselves to camps or factions. It's far too much of a distraction when we have real criminals to deal with. - Wiener is a specialist reporter for News24.